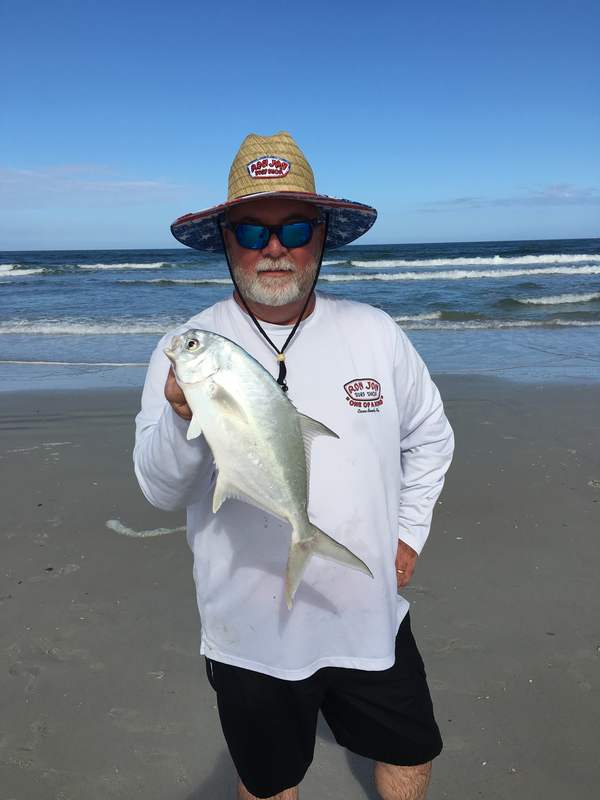 Pompano and Big Whiting !! 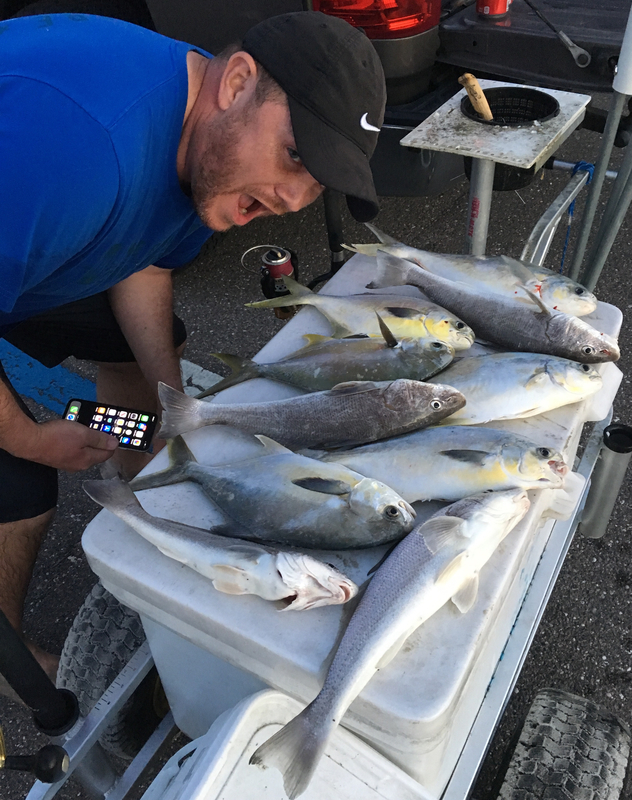 Fun Times .....2 and a half pound pomps and pound and a half whiting !! dear lord, leave them fish alone! Sweet! i gotta get to the beach! They're biting better for you, than me. I'm the classic "You shoulda been here earlier!" 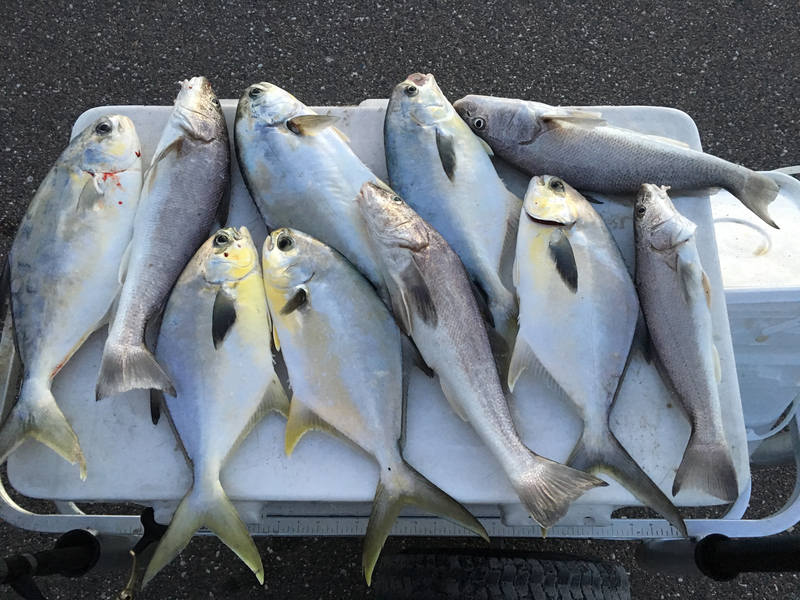 Nice work, picked up 4 keepers today in St. Augustine. Big whiting too. saw these 2 today and they had an even bigger catch..i fished 1/2 mile nothing of them and had 1 pompano 1 trout and 2 whiting..im doing something wrong! !